90 Plus Cellars is a quarterly wine of the month club that features highly rated wines from around the globe. Their mission is to showcase fine wines at an affordable price. 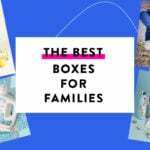 This review is of the 3-bottle box, $50 per month. Coupon: Use code 15PWELCOME to save 15% off store purchases! The Products: 3 bottles of high-quality fine wine in a variety of reds, whites, or rosé. This was my first month receiving the 90 Plus Cellars Wine Club and I was so excited to try it! The premise behind the club is that the company sources extra wine from top-tier wineries around the world and re-labels it under their house 90+ label. You don’t know the exact winery that your wine is coming from, but they provide information on the region the grapes were grown in. The box came with a well-made booklet that shows tasting notes for each of the wines featured this quarter. I’ll only be showing the pages relevant to my box below. The booklet opens with a little bit of background info on the wines. It also includes a cute diagram of handy wine-tasting terms and things to look for as you’re trying the wines in your box. Alexander Valley is at the northern end of California’s Sonoma Valley, and it’s known for producing excellent red wines. The region is especially known for its Bordeaux varietals, which include Cabernet Sauvignon and Merlot. First off, the color of this wine is a deep burgundy that looks very rich. Bold red wines are some of my favorites, and I usually gravitate towards wines with this depth of color, so I was quite excited to try this one! It smelled very fruity and earthy, and when I swirled it around the glass it smelled very fresh and rich. The wine is described in the booklet as having “aromas of red plum, dried red raspberries and strawberries and a slight rose petal quality that hovers over milder notes of cedar, toast, and smoke.” I don’t think my palette is quite sophisticated enough to pick up on all of those flavors, but I found this wine to have a rich fruit flavor at the first sip and finish with a stronger bite at the back of the throat. It was extremely easy to drink, and the harder acidic edge softened up with time after it was decanted. My husband and I easily finished the entire bottle over dinner one night, and I definitely know I’ll be looking for more Merlots from this region in the future! The next wine up is a Pinot Noir from Sebastapol, which is a town located on the Southern side of the Russian River Valley in Sonoma, California. The Russian River Valley has a very cool climate compared to other parts of the Sonoma Valley, due to its proximity to the Pacific Ocean. This coolness lends itself to producing great Pinot Noir and Chardonnay wines. The booklet recommends aging this wine 3-5 years to experience its full flavor, and I liked this wine so much that I’m really considering picking up an extra bottle so that I can age it properly! Finally, we have a Prosecco made from the Veneto region of Italy. The vineyard this wine is sourced from is certified organic, so we know that the grapes are grown with no herbicides or pesticides. When I first sipped this Prosecco, I thought that it tasted very much like a California Sparkling Wine, and was surprised to read in the booklet that it is actually from Italy. It tasted very much like a sparkling Chardonnay to me, with a heavy fruit flavor and a hint of oakiness. I tend to prefer dryer sparkling wines or Proseccos, so it wasn’t my favorite out of the box. However, the booklet describes the wine as being “dry, fresh and crisp,” so the fruitiness I was tasting may have just been me! That being said, I did find this to be a very drinkable Prosecco. I added a splash of orange juice to my glass, and the fruitiness brought out the flavors very well. For me, all sparkling wine, Prosecco, or Champagne must pass the “mimosa test” – and this Prosecco passed with flying colors! It honestly made one of the best mimosas I’ve ever had, and for that fact alone I give this wine a very high rating. The booklet also contained a recipe for a fun meal developed to go along with the Pinot Noir wine. I think this is such a fun extra step included in this box and hope to see more recipes from them in the future! The Verdict: I thought this was a fantastic wine box from 90+ Cellars! I liked the variety of wines we got to try in this three-bottle box, and I was very happy with all three of the wines. The Pinot Noir was an especially great find for me, and I also learned some new facts about different wine regions in the world. For $50, we received three bottles of premium wine, with an estimated retail value of $56.97. Although the box doesn’t give you a huge amount of savings based on the strict retail value, I think you still get a great value based on the premise of the box – typically, wines from high-end wineries in these regions sell for upwards of $50 per bottle (if not even more than that!). 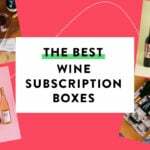 If you are a wine lover or someone interested in trying new and interesting wines, I think this would be a great subscription wine box to try. Can you still get this box if you sign up today? Yes, the spring box will be available through the end of April 2019. Value Breakdown: This box costs $50 + free shipping, which means that each of the 3 bottles of wine has an average cost of $16.67. Check out all of our 90+ Cellars Wine reviews and a roundup of the best wine of the month clubs for 2019! 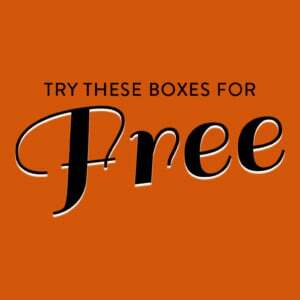 Do you get 90+ Cellars Wine Club? What did you think of the wines this month? 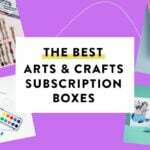 How do subscribers rate Ninety Plus Cellars Wine Club? Do you subscribe to Ninety Plus Cellars Wine Club? Add your rating now!